English Catholics were in a pickle. The Church of England was the official church of the nation and had broken away from the Catholic church back in the days of King Henry VIII. By the mid-1600’s, the Puritans were hard at work trying to purify the Church of England and were unfriendly to Catholics. The Catholic religion did not seem to “fit in” anywhere in the country. The solution? Form a colony in America… This is the story of the founding of Maryland and that colony’s quest for religious toleration. Remember Henry VIII? The English king who kept marrying and divorcing (or beheading) his six wives. Bad dude, but he did accomplish some pretty important things in English history. One of the most far reaching decisions was Henry’s break with the Catholic Church. Mary died and Elizabeth (Mary’s half-sister) took the throne and re-established Protestantism and the Church of England. Thus, the Catholic religion became unpopular in England once again. However, in the early 1600’s, England got another Catholic queen. 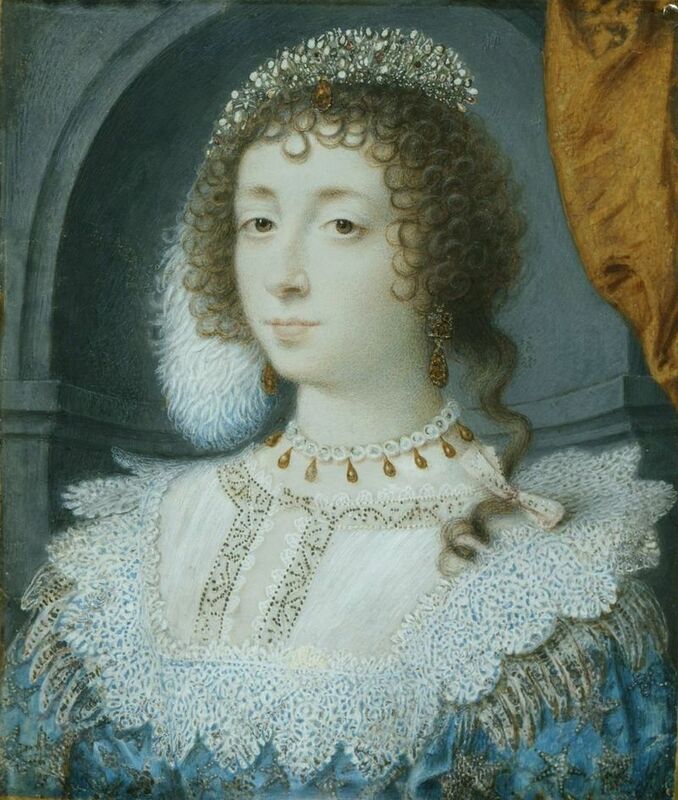 Her name was Henrietta Maria and she was a French Catholic princess. In 1625, Henrietta Maria married Charles I of England. She was never actually crowned queen because she refused to renounce her Catholic religion, but she was England’s queen…and she was sympathetic to Catholics in her new kingdom. George Calvert, the 1st Lord Baltimore, had spent his lifetime involved in English politics and advising the crown. But in 1625, amongst other political pressures, he resigned his governmental positions and publically declared his belief in Catholicism. Desiring to help his fellow church-goers who weren’t well-liked by their Protestant and Puritan neighbors, George asked the king to grant him a charter to start a new colony in America. But George died before the king decided. 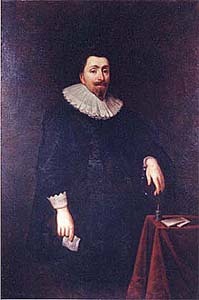 His son – Cecilius Calvert – became the 2nd Lord Baltimore and pressed forward the idea of colonization. Cecilius got the charter and Charles I named the colony after…? Any guesses? His wife, Henrietta Maria. The colony’s name would be Maryland. Lord Baltimore got his charter. English Catholics would have a religious refuge. But Cecilius wasn’t so keen on the idea of leaving England. He sent his young brother – Leonard Calvert – to do the colonizing. In 1634, two ships carrying about 200 people arrived in the Chesapeake Bay, and the first Maryland settlement – St. Mary – was founded. Under the influence of the Calvert family, the colony grew and prospered. Officially, Maryland was a proprietary colony, meaning the British crown ran the colony, but also abided by the terms granted in the original charter. Similar to Georgia, Maryland was founded for a specific purpose, but that didn’t really work out. Though designed to be a refuge for English Catholics, Maryland actually had more Protestants. This created a unique situation and prompted an important precedent. In 1649, the colony of Maryland passed a Toleration Act giving religious freedom to anyone “professing to believe in Jesus Christ” – a rather universalist statement that was revolutionary for its day. However, it should be noted that the Toleration Act did not extended to religions that did not acknowledge Christ; only the colony of Rhode Island offered complete freedom of religion. There was another freedom that Maryland tested: the freedom of politics. Maryland’s original charter stated that laws could be passed only with the approval of the freemen of the colony (excluded indentured servants, slaves, and women and children). But, Lord Baltimore wasn’t too pleased with that idea and thought he should get to dictate the way things would be done. It caused a political crisis, but eventually the colonists and their right of voting conquered and Marylanders could enjoy their freedom of semi-self-government and prepare for decades to be responsible citizens of a completely free country. One of Maryland’s largest modern cities is Baltimore, named after the Lord Baltimores who were so influential in the founding of the colony. And yet those English lords learned the lesson early on – American colonists liked their self-government and the power to make political decisions. This set an import precedent for America’s future break-away and political reformation.